Who hasn’t been behind a vehicle that is plunking along much too slowly? On a major freeway with multiple lanes, passing that slow-moving automobile is no big deal. But when you’re on a two-lane country road, making a pass can be much more treacherous. If you’ve been injured in an accident resulting from a passing maneuver, you may benefit from the help of a good personal injury attorney. When attempting to pass a slow vehicle on a two-lane roadway, the obvious hazard lies with the possibility of oncoming traffic. Having sufficient sight distance in these situations is critical to safety. Highway engineers are tasked with marking no-passing zones when such maneuvers would be too risky for drivers. The approved minimum passing distances are directly correlated to speed limits. While driving at 25 MPH would require 400 feet of sight distance at a minimum, Driving at 70 MPH would require as much as 1,200 feet. Ignoring the double lines or no passing signs could result in disaster. April 2017 saw the untimely death of three individuals when a driver attempted to pass a tractor-trailer in Indiantown, Florida. Unfortunately, after undertaking the pass, another vehicle came into the oncoming lane, resulting in a head-on collision. The men in that car were killed, while the individuals in the passing vehicle sustained serious injuries. Drivers should be aware that a dashed yellow line indicates that passing is permitted in either direction. Dashes alongside a solid yellow line indicate passing is allowed on the dashed side of the road only, and a double solid line means that passing in either direction is forbidden. A pass must be completed in its entirety within the designated dashed line. Always remember, passing is not allowed within 100 feet of any tunnels, bridges, viaducts or railroad crossings. So, let’s say you wish to pass, and you have a dashed line. Should you just proceed? Not necessarily. Pay attention to the roadway. If there are curves or hills, if there is quite a bit of traffic, or if there are a number of side roads or intersections with oncoming vehicles, it may be best to wait. And, by the way, the speed limit remains the same even during a passing maneuver. Be aware that there must be at least 200 feet between you and any oncoming traffic. Some drivers feel more comfortable with an even greater cushion. If you or a loved one sustained serious injuries or death due to a reckless pass attempt, you need experienced legal help. 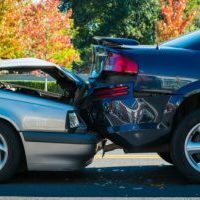 We at the Law Offices of Robert W. Elton take pride in our compassionate, yet aggressive stance when fighting for justice for accident victims. Contact us today in Daytona and Ormond Beach for a no-cost, confidential consultation.